Piles of cord-wood line a road in West Windham NH, waiting to be shipped out of town on the rail line. 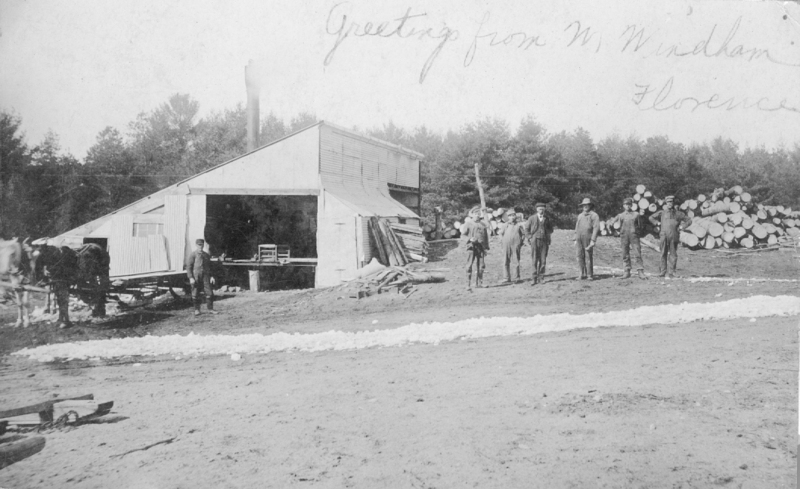 “WINDHAM, NH: February 1.—The brick-yards have furnished one of the principle markets for cord-wood. Now it is said they are beginning to use coal for burning brick, and the demand for wood has fallen off. Standing hardwood growth is about as valuable as Orchard Hill’s salt marsh land. 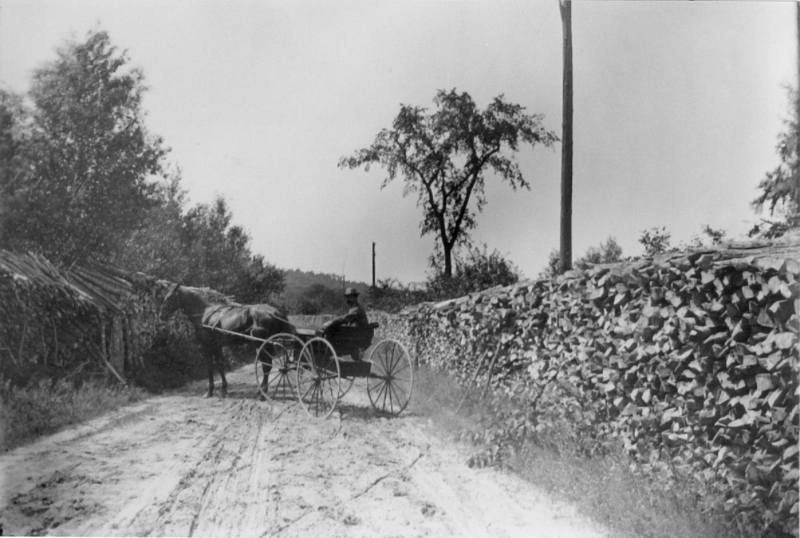 This entry was posted in Campbell Family Windham NH, Windham NH History. Bookmark the permalink.